This large Grateful Dead tapestry is approximately 60" x 90". 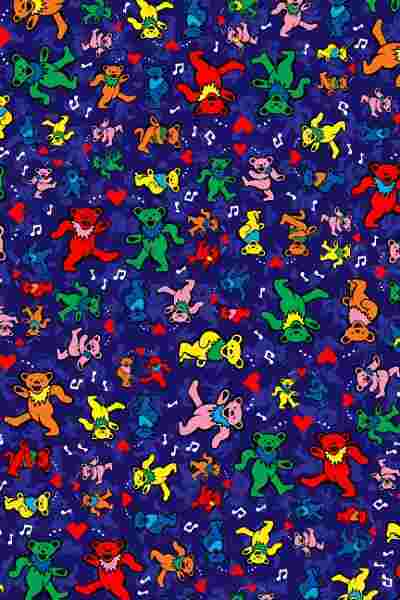 It features a collage of dancing bears with the artwork designed by Dina June Toomey. You can use this tapestry as wall hanging in your home or office, throw it over a couch, or as a bedspread on a twin bed. Comes with corner loops for easy hanging. It would look great in a dorm room. Use it a festival too. Officially licensed Grateful Dead merchandise. 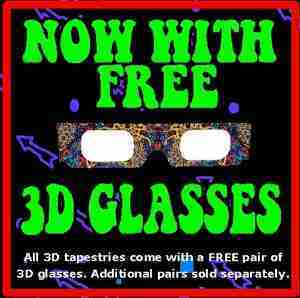 Comes with a FREE pair of 3D glasses.